Our organically crafted Lotus Hydrosol or Lotus Floral Water is a beautifully fragrant, energising and cooling hydrosol that soothes, restores energy and alleviates stress or depression. This exotic floral water is steam distilled from the pink and white flowers of floating aquatic perennial plant Nelumbo nucifera growing in murky ponds and shallow lakes of India. 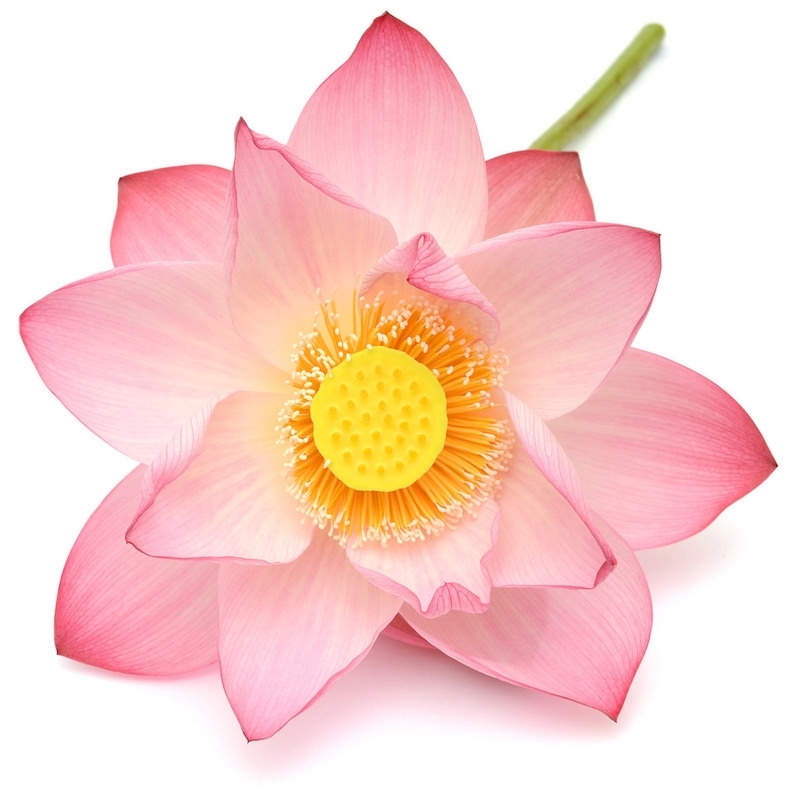 Lotus Hydrosol has high levels of antioxidant polyphenols to fight aging and cellular damage in the skin. It is soothing, cooling, anti-inflammatory and very astringent, making it ideal for aiding puffiness around the eye area. It also has antimicrobial properties; making it a soothing and cleansing spray for cuts, wounds, burns, sores, ulcers, and bruises. Lotus Flower Hydrosol also makes an excellent choice for helping soothe hot skin conditions including sunburns, rashes, insect bites, and other similar irritations. Lotus Hydrosol is known as a natural aphrodisiac and often used for aromatherapy, stimulating sexual desire, ecstasy, and euphoria. It's a wonderful meditation aid, opening chakras (specifically the third eye), dispelling negative emotions and thoughts, and giving a better perception of understanding and forgiveness. Lotus Hydrosol increases mental clarity, provides inner strength, and sparks motivation.